Colorado sponsors two 529 college savings plans to help you invest money for your child’s future education. The direct CollegeInvest plan offers various investment options with a low, flat fee across portfolios and a small minimum opening balance of $25. It also allows you to invest in an FDIC-insured money market account or an insurance product by Brighthouse Life Insurance. The Scholars Choice plan offers different investment options and the guidance of a professional financial advisor. All contributions toward any of these plans are tax deductible for Colorado tax payers. You’re not limited to just one of the plans, and you can use the SmartAdvisor matching tool to get paired with an expert to help you pick the right college savings strategy based on your personal financial goals. 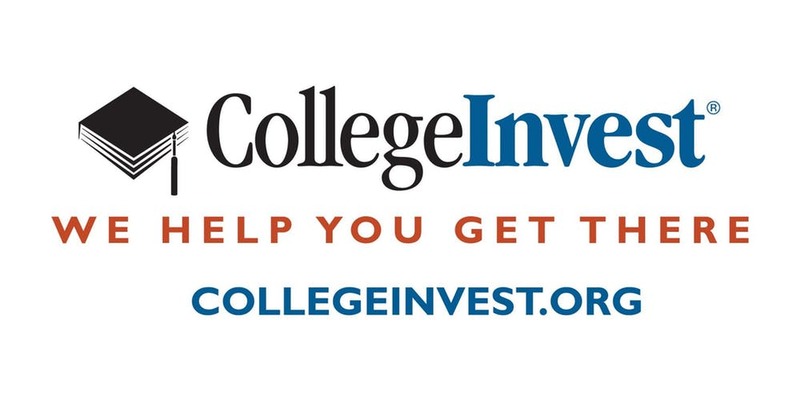 The Centennial State’s CollegeInvest Direct Portfolio College Savings plan shines for its low fees across all its portfolio options. It’s open to all U.S. citizens, but Colorado taxpayers get a serious bonus perk. They can deduct all contributions from their Colorado state income tax return. And anyone should be able to find an appropriate investment option within the plan regardless of investment knowledge. Your options include age-based portfolios that automatically change their asset allocation to take on less risk as your child gets closer to college. You can enroll with as little as a $25 contribution. How Do I Enroll in The CollegeInvest Direct Portfolio College Savings Plan? You can also send your $25 minimum opening contribution by check. But if you don’t want to complete the enrollment process electronically at all, you can request an enrollment kit and mail in a physical application. How Much Does the Colorado 529 Plan Cost? Each investment portfolio in the CollegeInvest plan charges a total annual asset-based fee of 0.39%, which is factored out of the total assets in each portfolio. So your account bears a pro-rata share depending on which option you invest in. However, this fee is very low compared with those found in other states’ 529 plans. The fact that the fee is a flat 0.39% across the plan’s investment menu is also quite rare, as portfolio fees in other plans can vary widely. You are, or your beneficiary is, a Colorado resident. Your account balance is at least $10,000. You opt-in for electronic delivery of all plan documents. When you invest in a 529 plan, you get certain tax benefits. For starters, the money you contribute toward the plan grows tax-deferred as long as it’s invested. This means your money will get the most out of compound interest. In addition, withdrawals will be tax-free as long as you use the money for qualified higher education expenses such as tuition and school supplies. And members of the Centennial State get a bonus. Colorado taxpayers can deduct all of their contributions from their Colorado state income tax return. Other Colorado tax payers such as grandparents can also make tax-deductible contributions into your child’s 529 plan, which is a perk not offered by several other states. The Colorado 529 college savings plan offers a variety of portfolio options to invest in. If you’re not too familiar with investing, you may be interested in an age-based portfolio. These options automatically change their asset allocation—the combination of stock and bond funds they invest in—over time. As your child gets closer to college age, the mix will aim to become less risky. However, the plan’s redesigned portfolios allow you to put your age-based portfolio on a track based on your risk level. So if your risk tolerance is high, you can invest in the aggressive option. By the time your child is 18, this portfolio would still invest decently in stock funds in order to aim for greater growth. But if you’re comfortable with choosing and managing your own investments, you can build your own portfolio utilizing the plan’s blended and individual options. The asset allocation for these portfolios remains static unlike the age-based options, which change over time. Blended portfolios invest in a mix of stock funds, bond funds and short-term investments based on a particular risk level and objective. Individual portfolios invest entirely in one asset class such as stocks. But if you’re not sure how to build a portfolio that caters to your risk appetite, you can use our asset allocation calculator to get a clearer picture of how different investment mixes may break down based on risk levels and savings goals. A financial advisor can also help you construct a personalized investment strategy utilizing the plan’s portfolio options. Over time, your advisor can help you switch investment options as your financial situation and savings goals change. Federal law allows you to change portfolio options twice per year. How Do I Withdraw Money from the CollegeInvest 529 Plan? To take money out of the plan, you can complete a withdrawal request form online. You’d need your account information and you’d also need to provide the reason for the withdrawal. To avoid penalties, you need to make qualified withdrawals during the same tax year it’s used to cover a qualified expense. How Can I Save More with CollegeInvest? In addition to the direct 529 college savings plan, CollegeInvest also sponsors the Smart Choice College Savings Plan. This is Colorado’s only FDIC-insured 529 plan, which means it offers the same tax benefits as the direct plan but also insures your savings up to $250,000. The plan allows you to invest in an FDIC-insured money market savings account by First Bank. You can open a 1-Year Time account, which locks in your savings for a set period of time in exchange for a higher interest rate. In this sense, it works similarly to a money market account. In addition, the plan charges no fees for opening or managing these accounts. Either may be a good option if you have a very low risk tolerance, or if you’ve been saving for a while and want to aim for preserving your earnings while getting a steady return. Furthermore, you can invest in Colorado’s Stable Value Plus Plan. This option lets you invest in a product by Brighthouse Life Insurance. It provides a guaranteed annual rate of return that won’t dip below 2%. The plan charges only a 0.71% annual administrative fee. This option also offers the same tax protections offered by 529 college savings plans. If you want professional guidance as you save and invest in your child’s future college education, you can open an account with Colorado’s Scholars Choice Advisor-Guided 529 Plan. The plan offers the same tax benefits as the direct plan. It also offers various investment options including individual portfolios, and your advisor would help you every step of the way. How Do I Enroll in Scholars Choice 529 Plan? You can find a financial advisor who will help you enroll in the Scholars Choice Advisor-Sold 529 plan. Your advisor will guide you through every step of the college savings process and help you develop a personalized investment strategy based on your financial situation, savings objectives and risk tolerance. But before you choose a financial advisor to work with, make sure you take a close look at his or her qualifications and credentials. Some certifications mean advisors are held to higher standards than others. Registered Investment Advisors (RIA), for example, are held to the strict standards of the Securities and Exchange Commission (SEC). In addition, you should also pay close attention to their fee structures, which can vary across advisors. Some work on commissions while others including, certified financial planners (CFPs), work on a fee-only basis. Your choice should depend on your preferences and financial situation. So make sure you ask your advisor questions before deciding on one. How Much Does the Scholars Choice 529 Plan Cost? Fees associated with the Scholars Choice plan depend heavily on your portfolio option as well as your choice of share class. The plan allows you to choose from share class A and C. If you work with a fee-only financial advisor, you can invest in share class O. But because you'll be guided by a professional advisor, you may face fees in advisor-sold 529 plans that you may not find in direct plans in order to pay advisors and other intermediaries associated with managing the plan and your account. One example is an initial share class, which is deducted from each contribution you make. Sales charges vary across share classes, and you can reduce them in certain instances such as when your account crosses a certain balance threshold. You should speak with your advisor about which portfolio and share class option is right for you as well as all the fees involved. And as in the direct plan, each portfolio charges an estimated annual asset-based fee which varies. Across share classes, these fees currently stretch from 0.62% to 2.12%. The plan also charges a $20 annual account maintenance fee, which can be waived if you meet the following requirements. You or your beneficiary are Colorado residents. You have at least $2,500 in assets at the fee assessment date. Below is more information about how fees break down based on share class. When you invest in the Scholar's Choice advisor-sold 529 plan, you’ll enjoy the same tax benefits offered by Colorado’s direct-sold plan. This means your contributions will grow tax-exempt and your withdrawals will be tax free as long as you use the money on qualified higher education expenses. But you’d also run into the same headaches if you make a nonqualified withdrawal. Speak to your advisor about how a nonqualified withdrawal may affect you based on your unique circumstances. Your advisor can also help you examine alternatives to tapping into your child’s college savings. The Scholars Choice 529 plan sponsored by Colorado offers a variety of portfolio options. Your advisor can help you build a personalized investment strategy utilizing the plan’s individual portfolios. Each one invests in a single underlying mutual fund and you can invest in multiple options in order to tailor your investments to your unique risk tolerance and financial goals. If you have a specific asset allocation in mind, you can choose from the plan’s Selected Allocations portfolios. Each one of these options invests in various asset classes based on a particular risk appetite and objective. In addition, this plan also offers age-based portfolios. However, the age-based portfolios in the advisor-sold Colorado 529 plan follow a more general trajectory of becoming more conservative as your child approaches college. Unlike in the direct plan, you can’t put your age-based portfolio on a particular risk-based track. How Do I Withdraw Money from Colorado’s Scholar Choice Plan? You can take money out of the plan by logging on to your account or by filling a withdrawal request form. 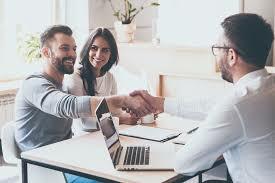 However, you should seek your financial advisor before making a withdrawal to discuss possible tax implications and how to best use the funds. If you’re not sure how to find a professional, you can use our financial advisor matching tool, which links you to qualified professionals in your area based on your preferences and financial situation. You do not have to live in Colorado to invest in its 529 plan. Take a look at these other states' 529 plans.